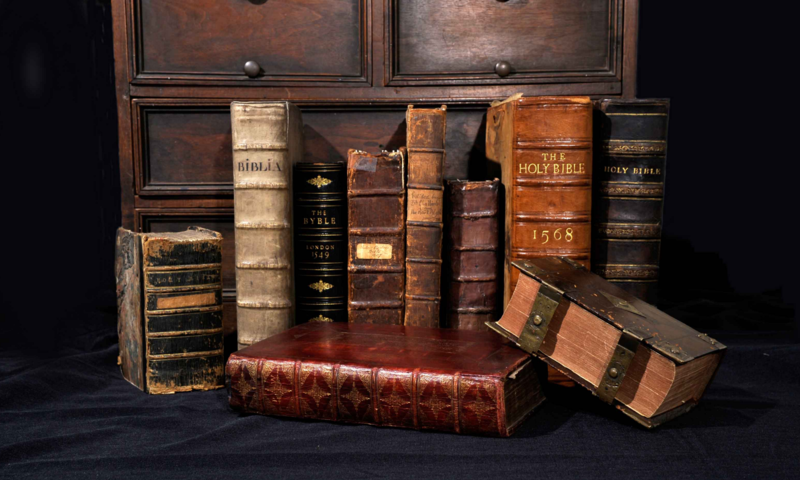 The Bible is the most common English-language book in the world, so it would hardly seem like an ideal focus for rare book collectors. 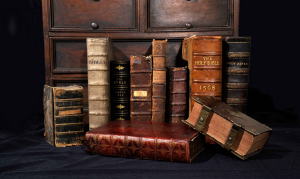 But the history and variety of Bibles make collecting them a diverting and challenging occupation—especially because one can often start a lovely collection without spending too much money. The sheer number of editions of the Bible can make it difficult to choose a scope for your collection. Many amateur collectors start out with their own family Bibles and simply collect other Bibles that catch their fancy. As you get more serious about building your Bible collection, it’s important to decide on a specific direction because the array of Bibles and editions is dizzyingly diverse; in their oft-cited bibliography, Frederick Moule and Thomas Herbert identified over 239 different editions of the English Bible…and those were all printed before the King James Version was first published in 1611. Version: The King James Version is undoubtedly the most famous, with multiple revisions over the centuries. Before it appeared, there were nine other major versions. And after the King James Version appeared, numerous other versions have been published. Many collectors choose to focus on one specific version. Language: The Bible has been published in over 400 languages, and almost always in translation. After all, the original texts of the Bible were in Greek, Hebrew, and Aramaic, and historically very few people have been proficient in all three. A collector might look for different versions of the Bible in a single language, such as German, or try to collect Bibles in as many languages as possible. Publication location: The Bible is a difficult book to print, due to both its length and its many textual features like numbered verses. It wasn’t uncommon for sections of the Bible to be printed in a given location, followed by the New Testament, and finally the entire Bible. The famous Bay Psalms book (1640), which included a novel translation of the Psalms, was the first volume published in the United States. The first complete American Bible didn’t appear until over fifty years later, in 1663, and it was John Eliot’s Algonquin translation. Errors: It should come as no surprise that some Bible editions include scandalous or entertaining errors. The so-called Wicked Bible of 1631 says “Thou shalt commit adultery,” while King David exclaims in a 1702 edition, “Printers have persecuted me without a cause.” One could easily build an entire collection of these error copies! Annotation: Bibles often served as repositories for family records, such as family trees and dates of birth, christening, marriage, and death. These annotations can be fascinating for those interested in genealogy or those who simply love that personal connection to the Bible’s original owners. Still other versions of the Bible include published maps and annotations, which can be fascinating in their own right. Our holding of a 1576 1st edition thus, New Testament. Someone had some thoughts on the writing! In 1526, William Tyndale published the first complete translation of the New Testament. The book was deemed heretical, and almost all known copies were destroyed. The first English edition of the Old and New Testaments was published nine years later. Given that Bibles have been published for so many centuries, the word “old” takes on a whole new meaning. In the world of rare and antiquarian books, we usually think of a book that’s more than sixty years old as an antique. But a Bible isn’t really “old” until it’s been around for two full centuries. 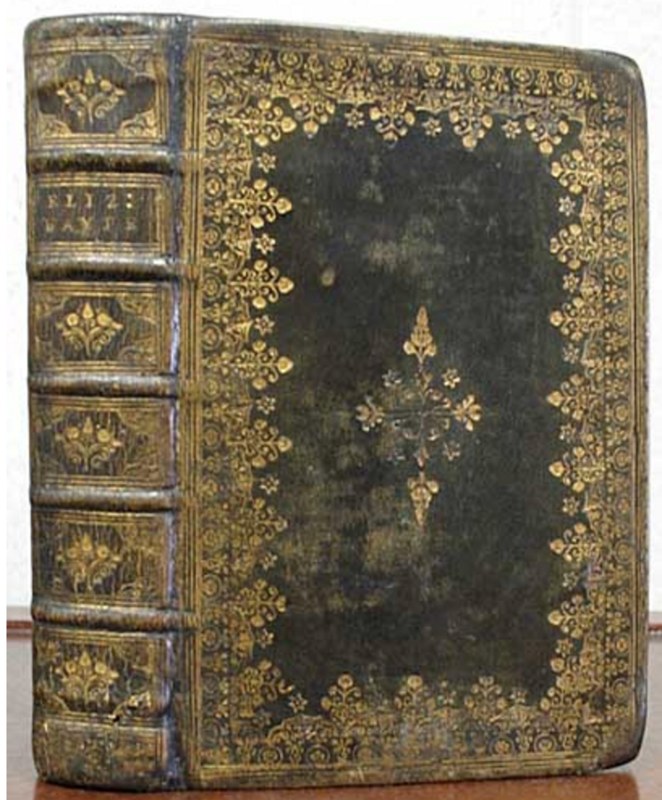 Serious collectors generally consider Bibles published in Europe before 1700 the most collectible. And because Bibles were often used regularly, they’re not often in pristine (or even very good) condition. 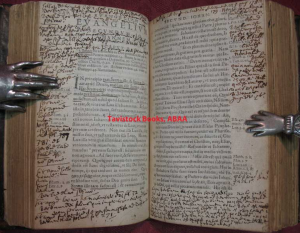 When you collect antiquarian Bibles, be prepared to embrace dog-eared copies filled with marginalia.That said, value isn’t always directly tied to age. Some 100-year-old Bibles are more valuable than others that are twice that age. 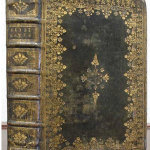 Frederick Moule and Thomas Herbert’s Historical Catalogue of the Printed Editions of Holy Scripture is the most commonly used and cited bibliography among Bible collectors. It has gone through muliple reprints and includes bibliographic details on Bibles in 600 languages. Margaret Thorndike Hill’s The English Bible in America encompasses American Bibles published between 1777 and 1957. It’s the preferred bibliography for collectors of American Bibles. P. Marion Simms’ The Bible in America delves into notable versions of the Bible in the histor of the United States. See Christopher de Hamel’s The Book: A History of the Bible for an illustrated survey of Bibles, starting with the earliest manuscripts. “Newly Translated out of Ye Original Tongues…” Are we sure about that? Check out our holding here! Some reference works may actually even find their way into your collection. For example, Thomas Wilson’s Christian Dictionary is useful to the scholarly collector…and a new somewhat scarce title. This entry was posted in Antiquarian Books, Collecting, Gift Ideas, Uncategorized and tagged bible on December 23, 2015 by tavistock_books.